When we were planning some of our “must-sees” last November before we took off on our adventure, the Grand Canyon was high on the list. We had never heard of Sedona until a family member said that “driving through Sedona was one of the prettiest and memorable drives” he had ever experienced. We put Sedona on our list and were so glad we did! Sedona IS one of the most beautiful places we have ever seen. It is such a cute town, with plenty of shops, restaurants, amazing views and great hikes. Instead of staying at our usual Thousand Trails RV park (which is in Cottonwood, 25 miles from Sedona), we decided to boondock near the famous Sedona red rocks. 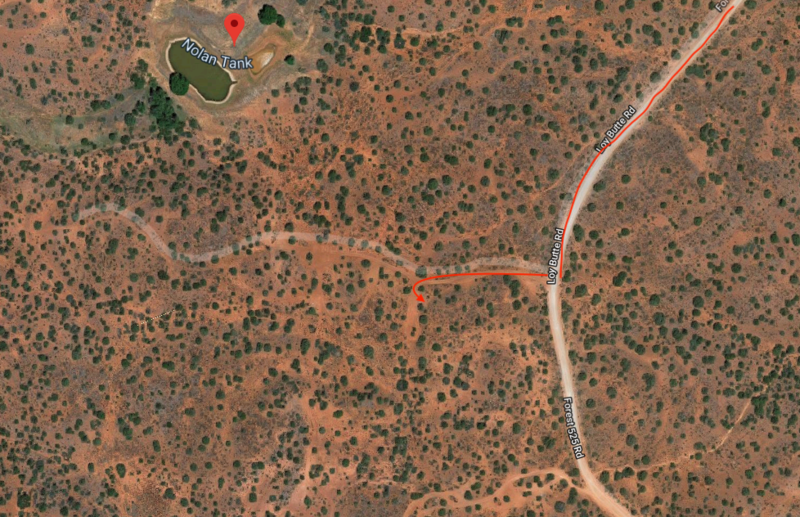 Sedona has some AMAZING boondocking spots off of Highway 89a, and we found our perfect spot by researching the area on Campendium. We ended up heading to Nolan Tank, and were glad we did! The dirt road from the main road is a bit rough, and there is a lot of it. Depending on which direction you come, it is 4-6 miles of bumpy, dusty, rocky roads - but it is worth the trip. The views out there are beautiful! We read a lot of reviews saying that the ATV traffic is frequent, which makes for a noisy and dusty experience. This is true. There a lot of guided tours and rented ATVs that drive up and down the dirt roads all day. We were able to find a spot about 50 yards off the main dirt road, and we never heard a thing. We are always a little worried about driving down dirt roads with a 42 ft. fifth wheel, however this area has a lot of camping spaces for RV’s of all sizes. It even has large areas for group boondocking, which is something we would love to do soon with all of the friends we have met on the road! Once we found our spot, we backed in our RV for that “perfect view”, and got ready for seven days of boondocking! 1 . Cathedral Rock Hike - While not the longest hike, it definitely has some difficulty to it! Cathedral Rock Hike has very steep sections which can be a bit tricky, but our 7 and 6 year old handled in like pros (they really have impressed us with how good and cautious of hikers they are, which allows us to go on some amazing hikes!). 2. Doe Mountain Trail - The closest hike to our camping site, and rated the #2 hike in Sedona, Doe Mountain Trail is another short(ish) hike with moderate difficulty. If you are up for a much longer and more difficult hike, Bear Mountain Trail shares the same parking area, is over 3x as long, and provides incredible views (It’s on our to-do list on our return trip!). Doe Mountain Trail is mostly made up of switch backs which take you up to the top of the mesa, but the hike up is only half the fun! Once you’re at the top, there are trails all around the top, along the edges of the cliffs. 3. Devil’s Bridge Trail - For our last hike of our trip we were able to meet up with some old college friends, @microadventurefamily. This hike had the most memorable ending, we’ll let the pictures speak for themselves! If you have a high-clearance vehicle, you can cut this hike in half, as there is a long dirt road leading up to the main part of the hike that is technically drivable if you have the right vehicle. The “bridge” isn’t as scary as it looks from afar. It is much wider than we initially thought. It still is a little unnerving though, so we all held hands during our photoshoot! We feel very fortunate for the friendships we have made on the road so far, but we also feel blessed to be able to meet up with many old friends and family during our travels! This is the second time we have been able to meet up with the @microadventurefamily. We were able to spend all day with them, spending the afternoon hiking, finding a great dinner spot, then heading back to their campsite for an impromptu late night bonfire. Sedona is definitely a place we would love to come back to. There is so much more to explore, and it is such a great mixture of cool town and natural beauty! Maybe next time we will be one of those ATV’ers that kick up dust for all the boondockers!